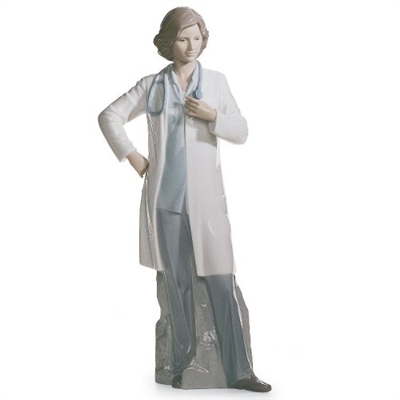 Lladro Professions Figurine, Female Doctor. A female doctor wearing white coat and with a stethoscope hanging around her neck. An excellent acknowledgement and thanks-giving gift for doctors. Also fit for medical students completing their studies.